Outdoor inflatable advertising refers to advertising activities carried on by a firm using public display media. Outdoor advertising includes signs, billboards and tent . An Inflatable Advertising sign can be any outdoor display of lettering, parts of letters, figures, numerals, phrases, sentences, emblems, devices, designs, trade names or marks or a combination of them. They are made visible to the public and are intended to advertise a firm, commodity, or a product. An advertiser can choose from a myriad of signs depending on his communication objectives and the target audience. Some of the signs that he can consider are - projecting signs, roof signs, wall signs, free standing signs, marquee signs and backlit awnings. It is difficult to paste so many signs, while the inflated advertising signs saves a lot of steps. More importantly, the personalized advertising logo is the most suitable one. Basically inflatable advertising signage refers air filled commercial signage inflatable balloons or sky balloons. Unlike banners and posters, these stuffs can be exhibited into varieties of shapes and size. Hence, inflatable advertising signage becomes livelier. That’s the idea we are going for with inflatables advertising signage. After all, where else can you get the benefit of a custom made product that nearly everyone in your target market will see? 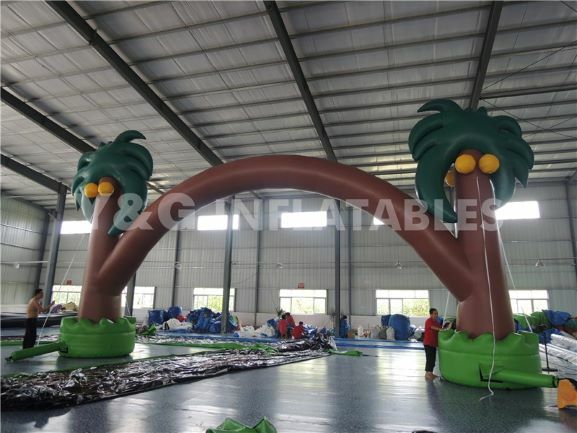 Here are my company email: info@yginflatable.com,welcome to order the inflatable advertising signage.